In 2016, artists Sam Wend, Ann de Forest, Adrienne Mackey & JJ Tiziou walked the city's perimeter during the course of a Knight Foundation funded Cross Pollination residency hosted by Swim Pony Performing Arts. From dawn to dusk over 5.5 days, they walked 102.7 miles around the city while staying as close to the perimeter as they were able. 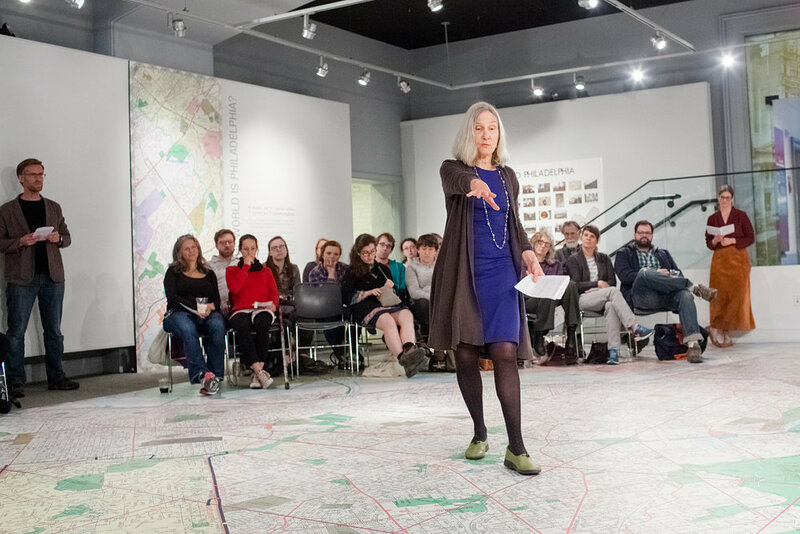 Partnering with the Philadelphia History Museum, the walkers devised an exhibit installation and narrative performance event that shared the experience of the perimeter walk to 'sold out' crowds. They've since adapted their presentation for business leaders and university students, and would be happy to share it with your community. 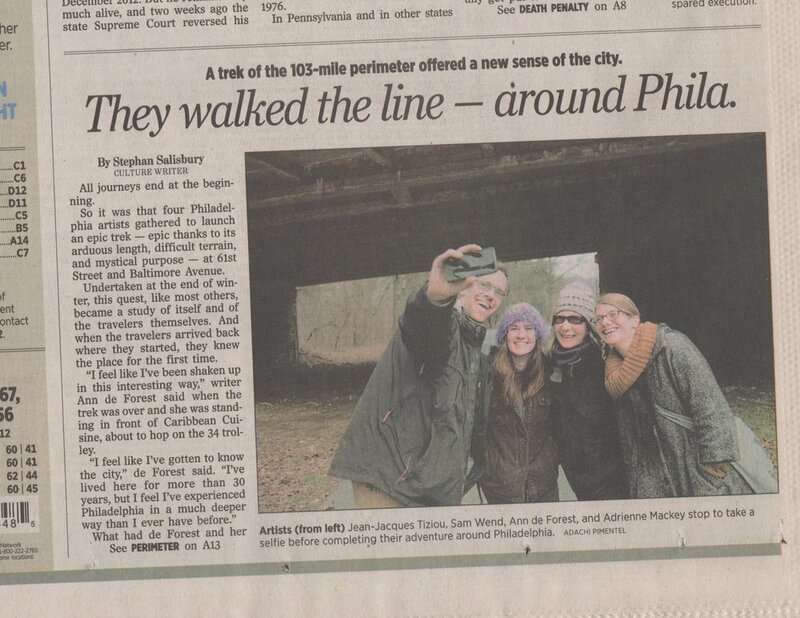 JJ, Adrienne, Ann & Sam are interested in discovering other cities by walking their perimeters. They are also actively seeking to create infrastructure to open the walk for others in Philadelphia.